my exact words were "cor blimey gosh that looks amazing"
Well that was unexpected! Aside from everything else already mentioned it's also worth noting that this has a glazed staircase, which is slightly different to the City in that it doesn't have a gap in the windows on the upper deck. 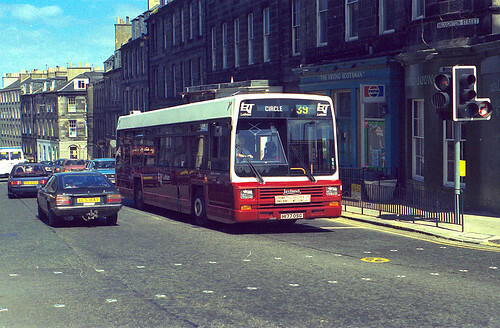 That matches the styling on the more recent Gemini 3s for Lothian but is interesting to see ADL offering more bodywork options - until now it has either been MMC or City with the only optional feature being glazed roof panels, whereas Wrightbus have a large variety of options on their double deck body. 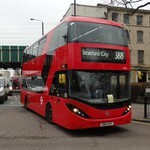 I agree that very few routes in London could use these due to their length and dwell time issues. I'd also say that although tri-axles might potentially be more efficient as you could use less of them than standard buses, considering passenger numbers have been falling on many routes leading to frequency reductions it could put more people off using the services if frequencies were cut further so I just don't think it would be wise to do so. I don't see the relevance to be honest, even if that were to be the case (and I'm not going to start up that whole debate here). 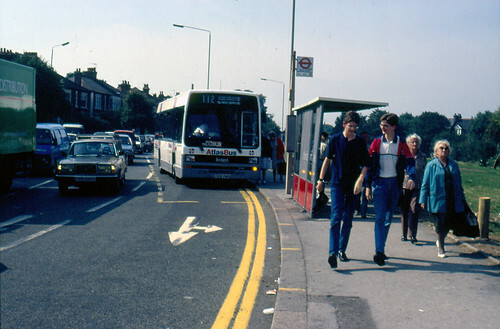 Many routes which use LTs likely can't take buses of this length while this also has an entirely different layout and seat to door ratio, making the designs most suited to different types of route. A conventional bus would in fact be a closer match to an LT. I tweeted Lothian Buses and said we could do with some of them in London. Their reply - "watch this space". Now that seems their standard reply at the moment but would be nice to see one down here. I wouldn't be surprised if one is sent down as a showbus for TfL, operators and sightseeing companies to evaluate. Clearly this is a very important order for ADL which is why they've perhaps stretched themselves to be more flexible to meet Lothian's demanding spec. That same strategy is paying off with orders for the Enviro 500. Nonetheless this is a pleasing and interesting development which shows innovation is not dead. I note that Vantage Power couldn't help replying to ADL's tweet with photos of the BCI tri-axle on route 12.
that makes me feel really old. I remember seeing photos of them in Buses magazine (when the magazine was good) thinking wow dual door Lynx. I think that may have been when Buses magazine was A5 sized. Only one Lynx but here you go. One Lynx still lives in preservation, number 188 (H188 OSG) but the rest are now long gone, all of them scrapped. 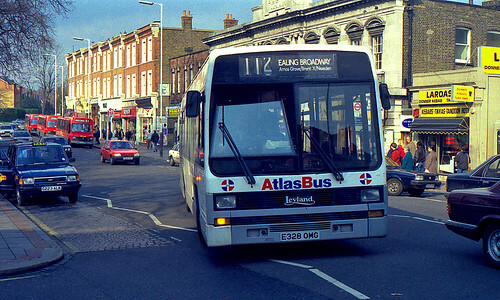 I used to drive a white Lynx on the 112 for Atlas donkeys ages ago!